Concrete Slabs - Cement is the best choice for your shed base! 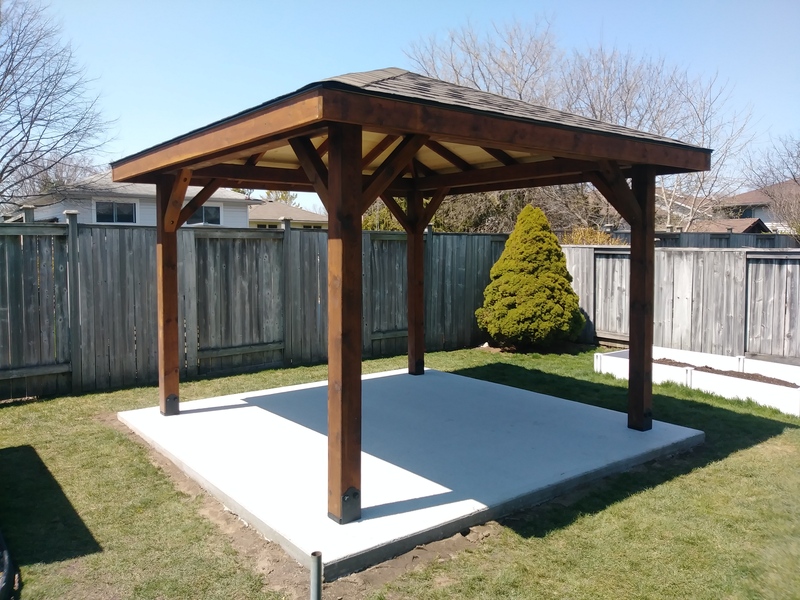 A concrete Slab is definitely the best choice for a base for your next shed, cabana or pavilion. The foundation is the most important step and the part that most people “cheap out on”. The quality of the base will certainly dictate the life expectancy of any job! Why go through the expense to create a long lasting and good quality project just to have it settle, or rot because the base was inadequate. The building code states that wood components of a project be no less than 24″ from a final grade. This is why most wood sheds tend to rot from the bottom up over time. A well constructed concrete slab will prevent the wood components of your project from “wicking” moisture up from the sub-soil. A well constructed, clear gravel base can also be used to prevent wood floors in sheds from “Wicking” if your budget doesn’t allow for concrete work.